Item # 314156 Stash Points: 3,395 (?) This is the number of points you get in The Zumiez Stash for purchasing this item. Stash points are redeemable for exclusive rewards only available to Zumiez Stash members. To redeem your points check out the rewards catalog on thestash.zumiez.com. 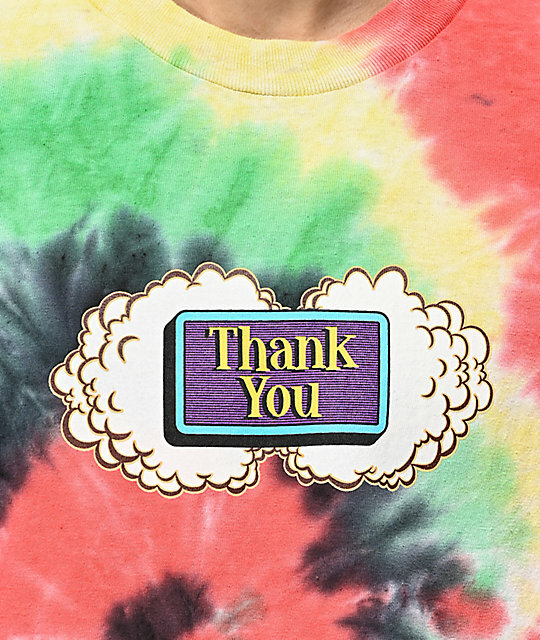 Easily display your laidback personality through wearing the Thank You Buds Multi Tie Dye T-Shirt. This colorful tie dyed garment is made from a classic cotton construction and features a logo graphic on the chest in a contrasting white, blue, purple and yellow colorway. 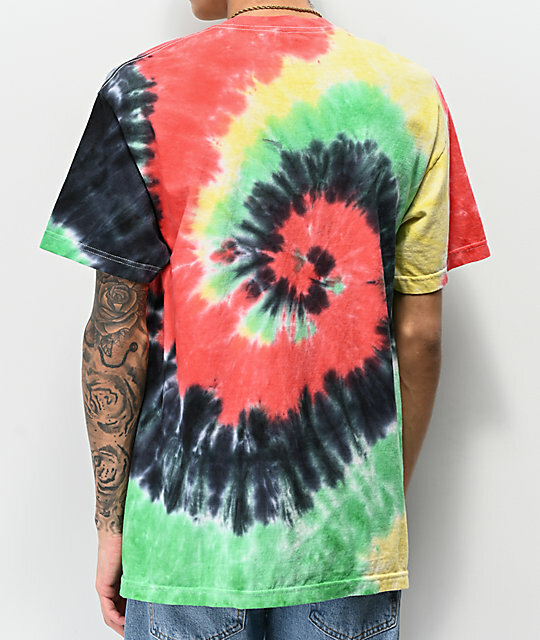 Buds Multi Tie Dye T-Shirt from Thank You Skateboards. Red, Yellow, green and blue tie dye design. Machine wash cold normal, tumble dry low.